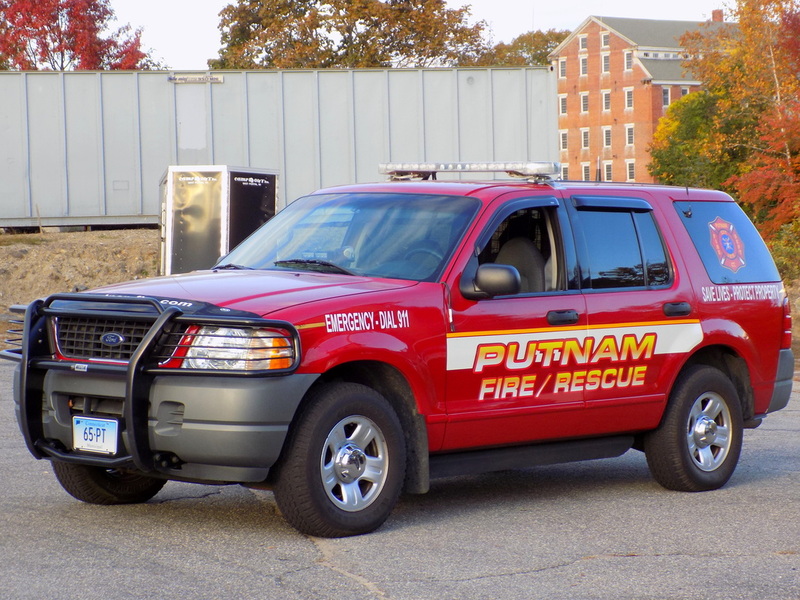 This is the page for the Putnam FD. They have 5 engines (2 engines, 1 4x4 brush engine, and 2 squads), 1 ladder truck, 1 rescue truck, and 1 station. I have pictures of everything except the rescue truck. Putnam's Car 178, a Ford Explorer SUV. 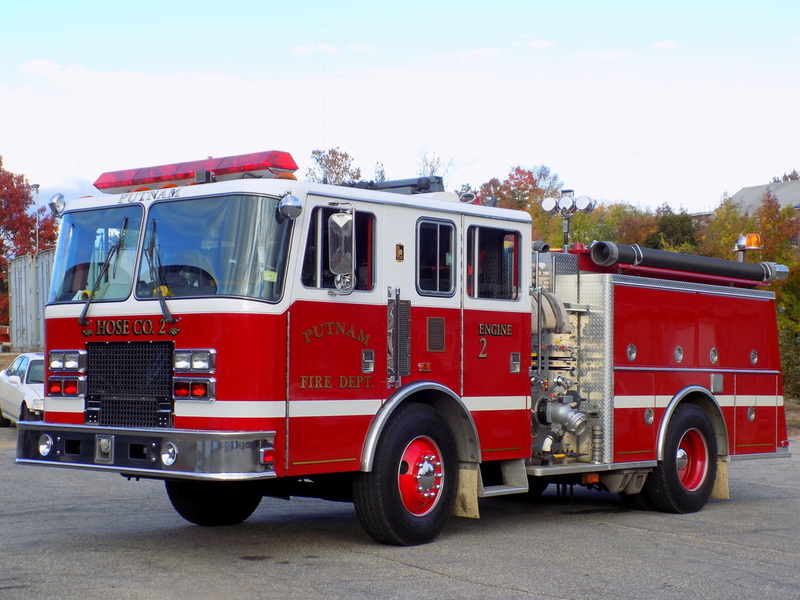 Putnam's Engine 178, a 1999 KME. 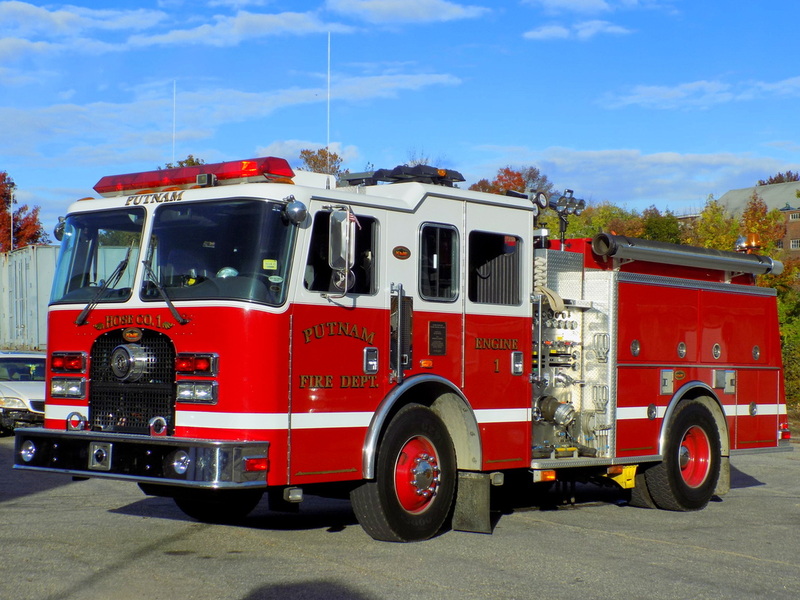 Putnam's Engine 278, a 1992 KME. 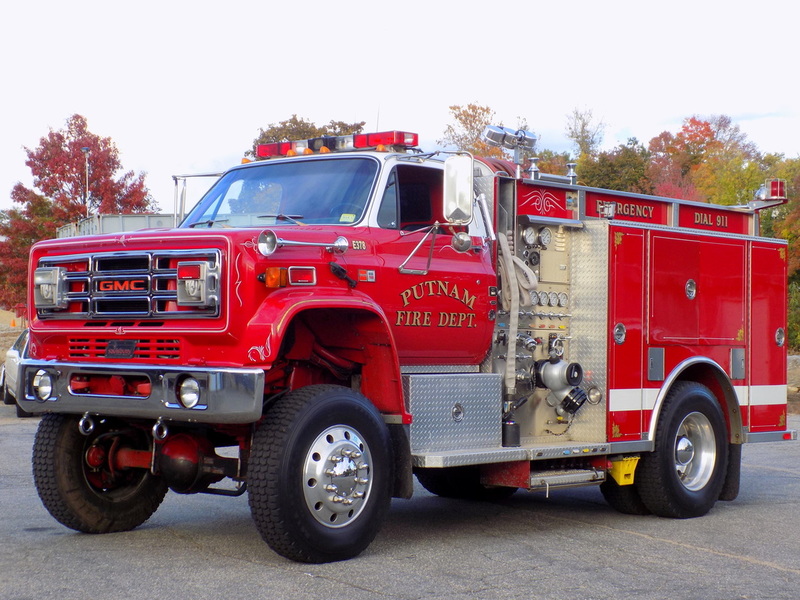 Putnam's Engine 378, a 1988 GMC/Saulsbury 4x4 brush engine (Ex Goshen (Waterford) FD, purchased 2012). 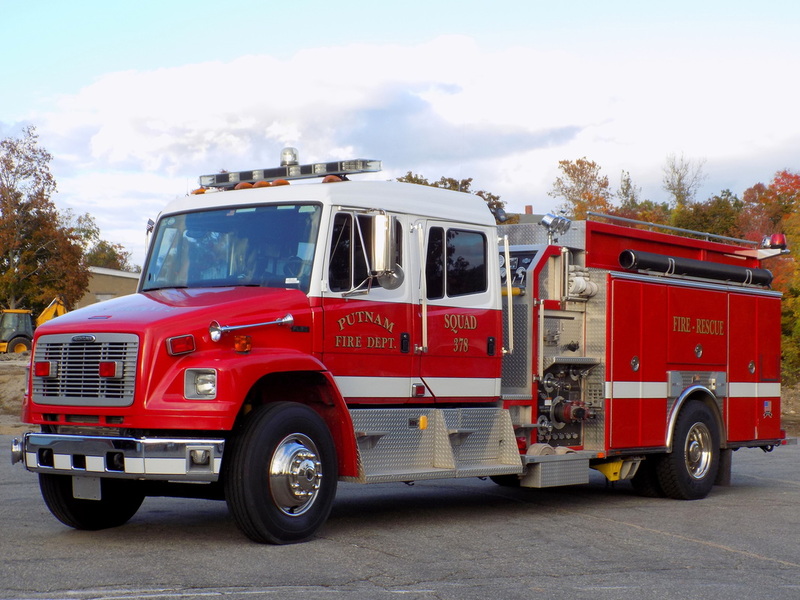 Putnam's Squad 378, a 2001 Freightliner/Ferrara rescue pumper (purchased in 2015 from a dept in Florida). 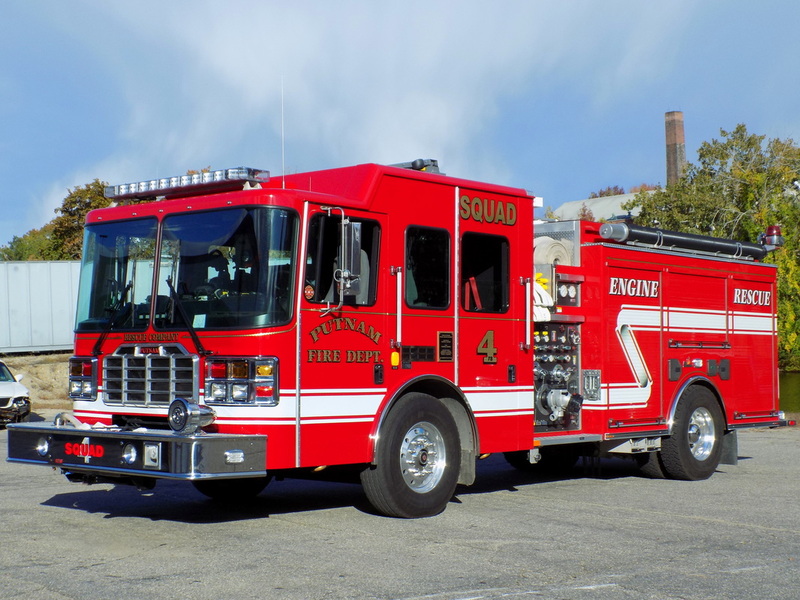 Putnam's Squad 478, a 2011 Ferrara rescue pumper. 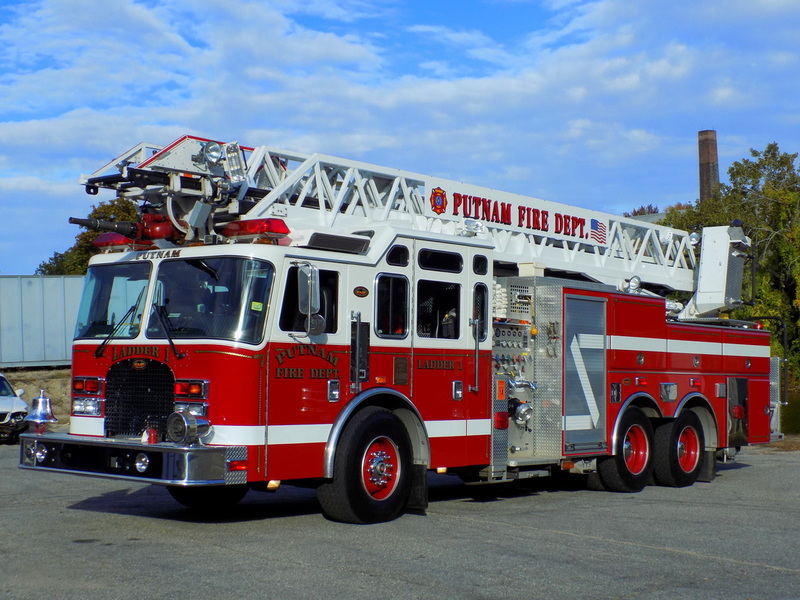 Putnam's Ladder 178, a 2003 KME 100FT RMA ladder truck. 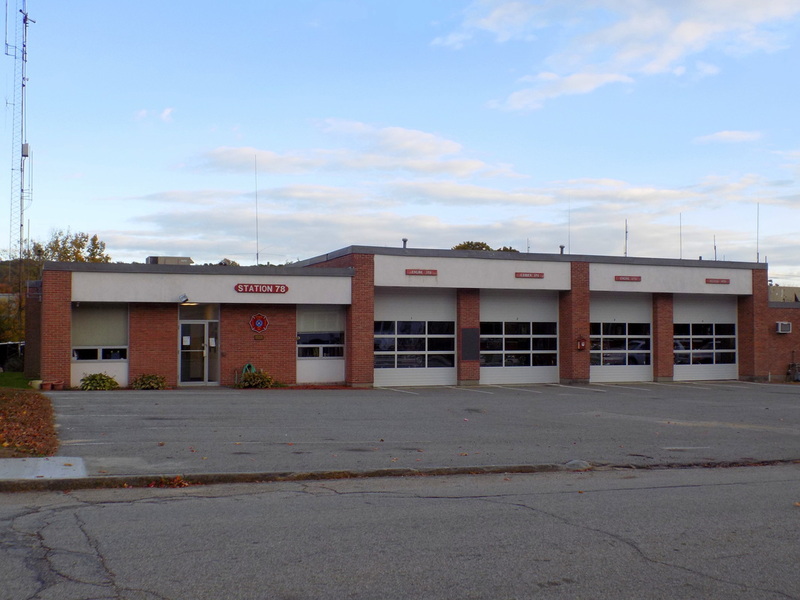 Putnam's Station 78, located at 189 Church Street in Putnam, CT.